1 | The weekend started off right with a Friday morning venti non-fat white mocha with an extra shot of espresso! Gotta get through the Friday work day, right? 2 | I have no idea how I didn't notice earlier, but I was almost home from work and I looked at my gas gauge to find it well below E. I started to get nervous because my phone was dead, so, for some reason, I decided it would be a good idea to keep driving home rather than to turn around and find a gas station. Once I got home, I waited for John who followed be back out to the gas station, and I swear I coasted up to the pump - it was stressful! 3 | DMV... where good days go to die. I lost my driver's license about a month ago, and figured it was about time to get a new one. It was so strange, when I sat down to wait to be helped, some lady sitting next to me told me I had cat hair on my pants! I just about died from laughter and confusion - I don't know, something about a stranger telling me that at the DMV is a little comical to me. 4 | John was working all weekend, so Saturday afternoon I went on a hike with John's mom in the Jemez Mountains. We hiked (a very small portion) of the Continental Divide Trail. Scout was with us, and it was nice to let her run around off-leash. The weather was just way too nice to not be outside! 5 | After our hike we had dinner (and a margarita, for national margarita day, of course!) at a yummy restaurant near by. 6 | The evening ended with some yummy creme brulee (so tasty). And before going to bed, John and I watched 12 Years a Slave (it was good, but not exactly light material). Has anyone else seen this? I'd be interested to know your thoughts! 7 | John was able to take a mini break from work for a Sunday lunch at Whole Foods. When we lived in Ann Arbor we basically ate every meal there, so it was nice to spend a little bit of time together at a place we enjoy (we went back for dinner too...). 8 | Miss Scout had a bath!! We usually bathe Scout at home, but this princess went in for a manicure (not really, but they did trim her nails), a teeth cleaning, and a good ole shampoo and condition. She's looking like a sassy super model! 9 | Our Sunday night ended in the best way possible... spending some quality time together, watching none other than Downton Abbey. John leaves tomorrow for a business trip, so we wanted to spend a couple hours just hanging out and unwinding. It was a wonderful close to the weekend! You can follow me on Instagram throughout the week here! Sounds like a fun weekend! Running out of gas is the worst. I actually ran out of gas the DAY I got my license. Doh. You would think that I would have learned my lesson, but no... it's happened probably 2 more times since then ;). 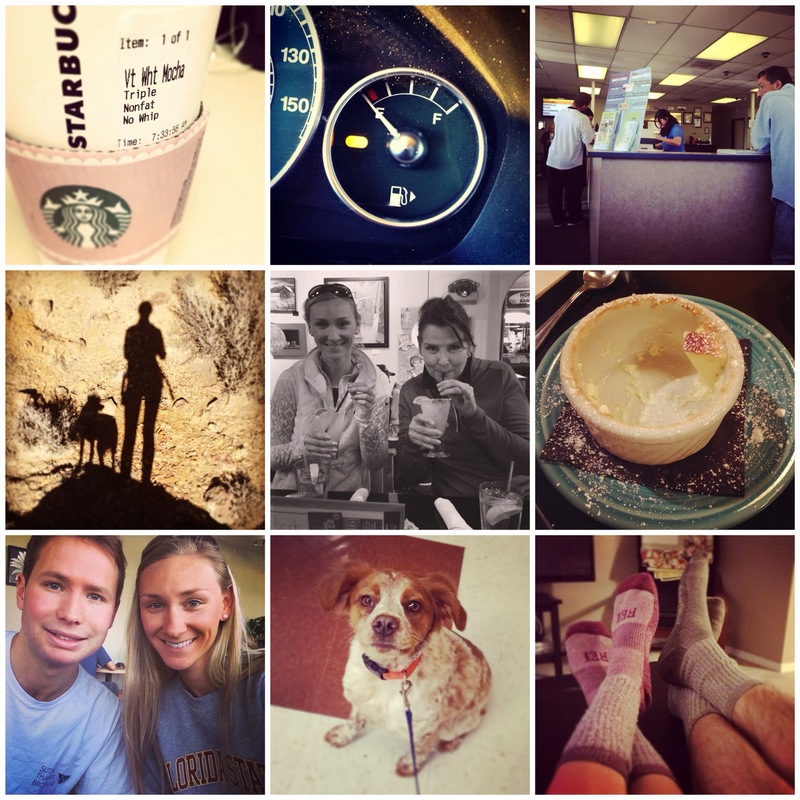 Love your photo round up. I loved 12 Years a Slave. Not light at all, but so emotional and moving. Hate when the hubby has to leave for work...not fun, but sounds like you had a wonderful weekend!! I can't believe that woman actually told you that you had cat hair on you - so strange!! Happy Monday! What is this Downton Abbey everyone talks about?! Love your photo recaps! Happy Monday Girlfriend!! I've done the coast to the pump before. Freaked me out! Living life on E is like living on the edge. lol. MMMM, creme brulee! Did you make it yourself? Sounds like a great weekend! Creme brulee is one of my favorite desserts! Looks like a great weekend! Starbucks, hiking and cocktails sound pretty amazing to me! Wouldn't want to forget national margarita day!